When I was a teenager I was fascinated with reading the Milesian genealogies and I would catch the train to Perth and go to the State Library and read the Milesian genealogies of O'Hart. At that time or soon after I realised that the ancient Irish bards and monks had somewhat confused the stories by trying to piece together the genealogies and tales to match with the Bible. We see a bold attempt to link the Milesian genealogies with the Bible. However the monks seemed to have got confused and in some accounts they claim the Milesians descend from Noah and Japheth through Magog, others claim through Javan and others through Gomer. However I noticed a strange parallel with the genealogies and 1 Chronicles 4:17-18. The Milesian accounts speak of the person of Heber Scot and I noticed that here was a Heber father of Soco. Many speak of the father of Heber as Gede(Gaythelos)and I noticed the name Gedor. Even the connection with Noah seems to have come from the name Zanoah mentioned here in this passage on the Ezrahites or Zerahites of the Tribe of Judah. The Milesian genealogies also are headed with the name Baath or Bathath which alludes to Bithiah the daughter of Pharoah who married Mered. This Baath is confused with a later Bat Scotia who is the mother of Phineas or Fenius. The Milesian genealogies also include the name Esru and Sru which alludes to Ezra or Esri (in the Septuagint). They also mention Jara which alludes to Jered. It is clear that the original accounts of the Milesians referred to their descent from Zerah Judah and this passage from 1 Chronicles 4. The original manuscripts were most likely written in the ancient Hebrew-Phoenician Script and the Ogam Script and caused the monks difficulties in reading them. One fortunately today can begin to reconstruct the genealogies and stories by referring to the Irish Annals and the Lebor Gabala Erenn, Geoffrey Keating, Nennius and John of Fordun among other sources. Due to the repeated naming patterns in the first and second centuries it is obvious that the inhabitants of Ireland, Britian and Scotland had an already developed literature of the Milesian History. These repeated names however has caused much confusion to the later scribes who tried to preserve these stories and genealogies by creating an ancient history of Ireland linked to the Biblical events. The sources mention the Milesian ancestors being in Egypt on two occassions. They speak about a daughter of Pharoah called Scota in both accounts. The first is when the Zerahites were in Egypt in the time of Mered who was the vizier of Egypt and married to Bithiah the daughter of Pharoah. The second time was when the daughters of Zedekiah who were the granddaughters of pharoah Ramses II (Necho II). These daughters are Sukkota (Istnofret/Isetnofret) and Tamar (Tia). According to some writers Sukkota or Scota went to Spain and Tia to Ireland. However it was their descendants that went to Spain and Ireland. I believe Sukkota as the granddaughter of Rameses II was buried in her own tomb in Saqqara. 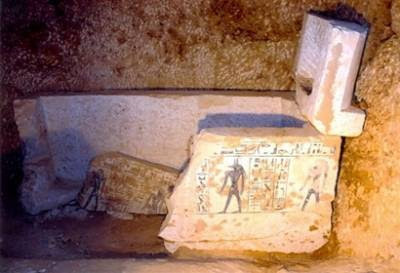 The National Geographic reported in March 2009: "A 3,000-year-old noblewoman's tomb complex has been uncovered in Egypt, archaeologists announced Tuesday. The tomb has been identified as belonging to a woman named Isisnofret—possibly the granddaughter of Pharaoh Ramses II... Hieroglyphics on a sarcophagus in the tomb identify Isisnofret as a spst, or noblewoman—an honorific reserved for women of the royal family or of otherwise exceptional status. Long hidden by sand and rubble on a rocky outcrop on the outskirts the ancient royal burial city of Saqqara, the complex measures 89 by 34 feet (27 by 10 meters)..."
Just as Velikovsky demonstrated that the Egyptian priests and later the Egyptologists have exaggerated and extended Egyptian history so the Irish monks did the same with Irish history to complete with the antiquity of Egypt. For many years certain writers have spoken of Zedekiah's daughter called Tamar Tephi or Tea Tephi who lived in Egypt. Tia is a Hebrew nick-name or diminuitive for the name Tamar or Tamara. And when one realigns Egyptian history then this Princess starts to make sense. Ramses II had a sister called Tia or Tiya so we see it is a name found in the Royal Family of Rameses. We also see that Ramses II had a daughter who was also his wife called Bint-Anath (Bat-Osnat) whose name is purely Hebrew or Phoenician. She is the daughter of Ramses II's wife Queen Isnetnofret who is not of the Egyptian Royal family but most likely the daughter of Oskoron (Sokar/ Socho) the Chief Prince of Ma (Mu/ Milesians/ Meshwesh). 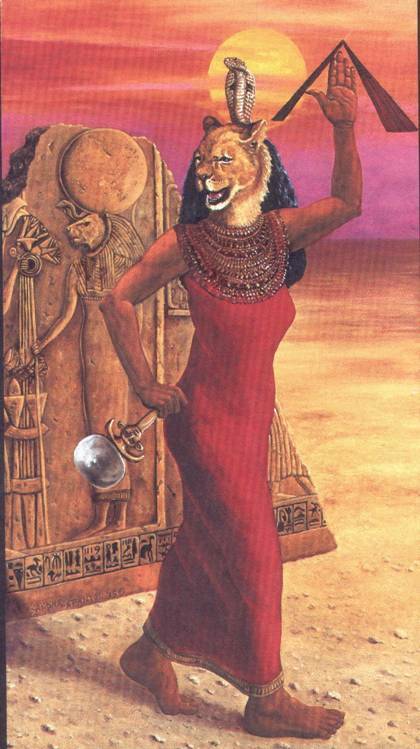 Isis or Isnet is the Egyptian for the Hebrew Osnat or Asenath and nofret means beautiful. Thus Isnetnofret means Asenath the Beautiful. This for me confirms that the Jewish genius Velikovsky was correct in his placing of Ramses II at the time of the Exile of Judah to Babylon. It is also possible that Tia's sister Sukkota or Scota was also known as Asenath and in Egypt became Isnetnofret of Saqqara. Saqqara (Sakkara) being remembered as Sukkota or Scota just as Tephi was a shortening of the name for Tahpanhes. Saqqara was originally named for Sokar the Egyptian God of the underworld and some of the descendants of Nilius and Asenath of Sakkara went to Morocco where they were called the Beni Sakkar. This Berber tribe later returned to Egypt from Morocco for which the village of Saqqara is said to be named. 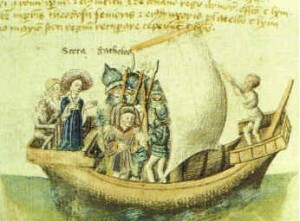 Others of the Beni Sakkar or Skalota went to Rhodes and to the Milesian colonies in the Black Sea region which became known as Scythia after their ancestress. The name of Libyan was once given to the Berbers and it would seem that when the Milesian accounts speak of the Milesians going to Libya they mean to Morocco which was populated by Libyan or Berber tribes. The Gaelic histories speak of Rifath Scot which may allude to the Riffians (Tarifti) of Morocco. The name of one of the Milesians who invaded Ireland was called Amergin and one name for the Berbers was Amerzigh. It is believed that there was a Jewish Kingdom in Morocco in Second Temple times. The Jewish Morocco webiste states: "...Other Jews moved inland from Cyrenaica (Libya), converted Berber tribes, and established settlements in the foothills, mountains and desert oases of Algeria and Morocco. Some of these Jews did not recognize the authority of the Talmud, as evidenced by the writings of religious leaders in Sijilmassa, near today's desert oasis town of Rissani..." The language of the Riffians was called Tamazight. The Beni Sakkar were descended from the followers of the Hebrew Prince of the Line of Zerah Judah called Soco or Sokho ben Heber. The Egyptians later deified him as Sokar the God of the underworld. It would seem that some of the Milesians used also the name of Soco or Sokar in honour of their ancestor Soco ben Heber, others used the name Godoni or Godoli in honour of their ancestor Gedor. It would seem that the murdered Godol or Gedaliah belonged to this clan of Zerah Judah. When Asenath married Nilius she became known as the Lady of the Socot. The original Lady of the Socot was the wife of Soco or Sokar called Sekhmet or Sekhet (Sokhot) who was seem as a Lioness (Ariela)and also called the Scarlet Lady. Red and Green are associated with the Milesians and Sokar is the Green Man and his wife the Scarlet or Red Lady. Zerah ben Judah is associated with the Scarlet or Crimson Thread in the account in Genesis. It is also interesting that the Milesian emblem according to Geoffrey Keating was a version of the Nehushtan (a serpent entwined on the cross-like rod of Moses). "...This celebrated standard, the "Sacred Banner of the Milesians," was a flag on which was represented a dead serpent and the rod of Moses; a device to commemorate forever among the posterity of Gadelius the miracle by which his life had been saved. The story of this event, treasured with singular pertinacity by the Milesians, is told as follows in their traditions, which so far I have been following: While Gadelius, being yet a child, was sleeping one day, he was bitten by a poisonous serpent. His father--Niul, a younger son of the king of Scythia--carried the child to the camp of the Israelites, then close by, where the distracted parent with tears and prayers implored the aid of Moses. The inspired leader was profoundly touched by the anguish of Niul. He laid the child down, and prayed over him; then he touched with his rod the wound, and the boy arose healed..." The Nehushtan was a Jewish Christian symbol of the crucified Messiah and the Tree of life and the Attributes of God. It was later found in the Calalus artefacts found in Tucson Arizona. Gaedal son of Niall lived in the 1st-2nd century AD and was a descendant of Joseph of Arimathea not the Neleus the Milesian who was in Egypt in 586 BC (or 460 BC according to a revised chronology). Gaedal and his father Niall (Nel) were born in Babylon where Niall's father Phinchas (Phineas)was the Rosh Yeshiva of the Kinyani Jewish Christian Yeshivah. Gaedal is said to have gone to Brigantia in Spain where his grandfather Phares had rebuilt the Tower (the famous Roman lighthouse now called the tower of Hercules)that his Milesian ancestor Breogan had built in the 3rd century BC. The Spanish remember Gaedal as Gatelo and state that his wife was Scota. He later becomes the Abbot of Glastonbury. The name Bat Scotia or Scota was the title of the eldest daughter of the Rosh Galuta of Scotia. The wife of Gaedal was the daughter of the Rosh Galuta Scotia Nathaniel II and his wife Bat Scotia (Daughter/Lady of Scots). Gaedal was the great grandfather of Heber Scot. Heber Scot left Glastonbury with his father known as Sru (Ezra or Zerah) and went to Scotia. His great great grandson Agnan (Agni) left Scotia and sailed the islands of the Northern Sea. His son Lamhfionn settled in Gothia in Sweden. His grandson Agne or Agnan was the son of Heber and his wife Glunn the daughter of Dag the Wise.